Coming your way starting, Monday, November 28th you can look forward to 12 straight days of posts that will include things to make, things to bake and easy ways to decorate. 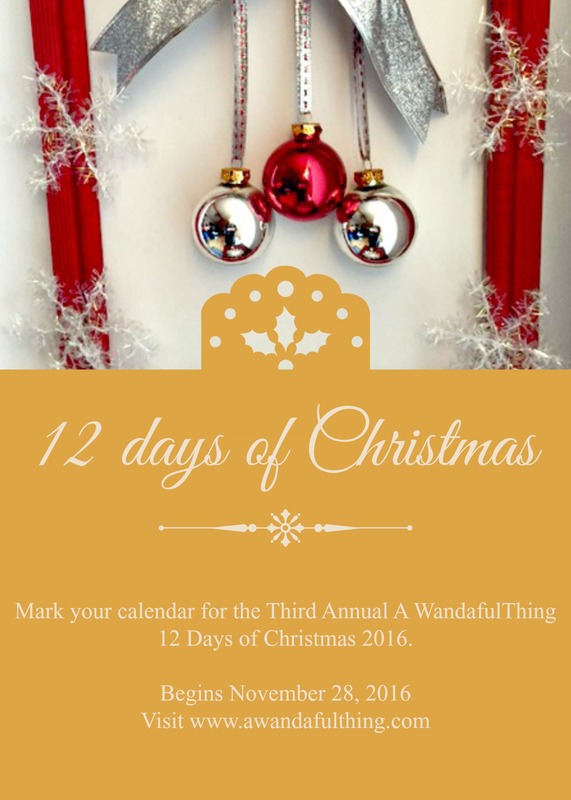 Here is a recap with links to all the Wandaful Things I created last year. This entry was posted in Bake, Decorate, DIY, Food, Make and tagged 12, 12 Days of Christmas, challenge, cheap, Christmas, Crafts, creativity, days, Decorate, DIY, easy, Food, gift, gifts, ideas, inexpensive, recycle, red, repurpose, reuse, simple. Bookmark the permalink.